Your time is precious, the last thing you want to do in your free-time is clean your house. At Cascade Fresh Cleaning, we understand how important family is, which is why we take care of your home cleaning for you. When you leave the cleaning to us, you’ll have more time to spend with your loved ones, more energy to enjoy Grand Rapids and peace of mind knowing you’ll have a mess-free home at the end of the day. And what could be more relaxing than that? 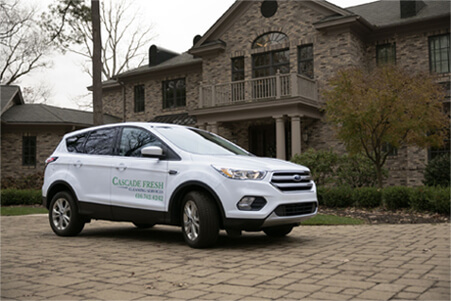 Cascade Fresh is dedicated to providing the best quality home cleaning services in Grand Rapids, MI. For your everyday cleaning needs, we offer you our signature home cleaning services to effectively clean your house from top to bottom. We also offer special cleaning services that go above and beyond your typical housekeeping needs. For over a decade, our locally owned maid services have been serving families like yours. When you need reliable and qualified cleaning services, trust that Cascade Fresh Cleaning will get the job done. It’s why we’re continually recognized as being the best in Grand Rapids. They are friendly, timely, thorough and efficient! We are pleased to celebrate 12 years (and counting) in the home cleaning business, serving clients in the Grand Rapids, MI, area. In this time, we’ve built a strong and knowledgeable team of expert house cleaners who work hard to clean quickly and efficiently. Our associates are polite, professional, uniformed and insured, everything you want in a maid service. Cascade Fresh Cleaning is an independent and locally owned business. From weekly home cleaning to special events, we take the burden of cleaning off your hands, leaving you more time to enjoy your time with your loved ones. © 2017 Cascade Fresh. All Rights Reserved. Website Design by Locallogy.